Women choose to apply makeup so that they look more beautiful. They want to look gorgeous and to be center of attraction. 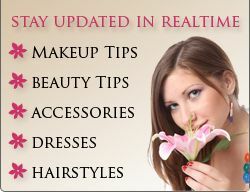 For flawless makeup, every makeup product should be chosen carefully. Everything which suits the skin and which looks good should be chosen. Foundation is the base of makeup and should be applied with due care. There are many foundations available in the market these days. Select one which matches with your skin type. A foundation brush is used to apply foundation all over the face. Different foundations like cream foundation, powder foundation, liquid foundation, spray foundation, mousse foundation, waterproof foundation and cake/stick foundation are available in the market. Liquid foundation is the most common foundation as firstly it is liquid in state, so it is easy to be applied. Secondly it is suitable for all skin types. 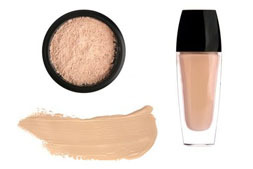 It comes in various forms like oil-based liquid foundation and water-based liquid foundation. For ones who have oily and normal skin and want to use liquid foundation should go with the water-based one and for dry skin oil-based one is a good choice. It can be applied either with a brush or with sponge. Due to liquid in state, this foundation blends perfectly with the skin and it provides the face a good smooth and glowing look. Cream foundation is likely to be used by ones who have dry or extra dry skin as it contains oil. Extra deposition of oils on oily skin is not good and so the ones who have oily skin should avoid this foundation. This foundation lasts for a long time. After the foundation has been applied, the face gets a flawless smooth and soft look. This foundation is thick in nature and because of that it gives a glossy look to the face. It can be used as a concealer too. Powder foundation comes either in loose powder form or pressed powder form. It should be used by ones who have oily skin as the powder will give a sheer effect to the face by soaking the extra oils but can be used by normal skin. Either with a brush or sponge this foundation can be applied. This foundation is generally used as a touchup foundation. Time required to apply this foundation is less as compared to the above two. Waterproof foundation is a foundation which is used in summer and monsoon season. In summers, due to heat there is lot of perspiration and because of water molecules the foundation can fade away. Same is in the rainy season, due to rain the makeup comes off quickly. This foundation helps to keep the makeup intact in these two seasons. It is available in cream and liquid form and according to your skin type you should pick one. Spray foundation is a very easy to be applied foundation. Just hold the spray can and spray out the foundation evenly on the face and neck. This foundation is used to freshen up the look of face. When hours have passed after the makeup has been applied and now the makeup looks dried out, at this time spray foundation should be used to refresh the makeup. This foundation has a long lasting effect and so is very much used during occasions like wedding. Foundation is the base of the makeup and so it should be chosen carefully. Make sure that you select one according to your skin type. Also keep in mind to select the color of foundation which is almost same or a tone lighter than your skin tone as it should look natural after the foundation has been applied. Properly blended foundation will give your face a lustrous look.